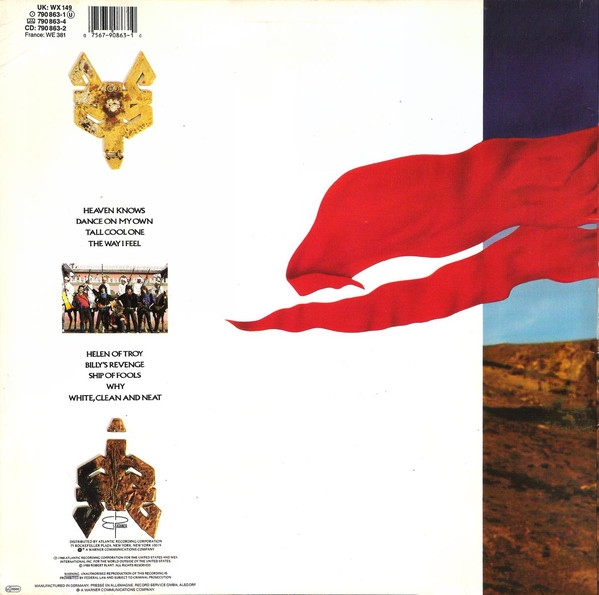 Despite not being quite as computerised in its instrumentation as previous solo albums, this is still very much an "eighties album". Its tracks are largely upbeat, poppy (comparatively) and lively. It reminds me very much of Mick Jagger's solo albums , "She's The Boss" and "Primitive Cool", from the same period, or Elton John's late eighties output. It has a sharp, fresh, clear production, but it is all very sanitised and polished. There is precious little gritty blues-influenced material on here. 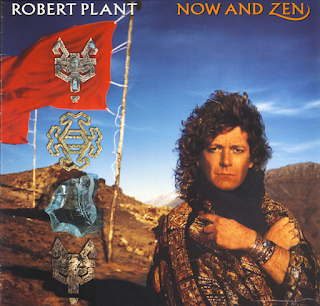 From the title and the cover, I expected an album full of Eastern influences and bluesy spiritualism. It is anything but, I'm afraid. There are still strong bits of guitar on it, though, but only here and there. Synthesiser and muffled drums are still the order of the day. One dreads to think what John Bonham would have made of it all. It is certainly a pleasant enough listen, but nowhere near "down and dirty" enough for me. Plant himself admits, in retrospect, that "a lot of the songs got lost in the technology of the time". "Heaven Knows" is a chugging but appealing number with some very late eighties keyboards and drum sound. The vocal is very laid-back, not really a typical Robert Plant one. While this sort of stuff is totally inoffensive, maybe you have to take stock and think "hold on, this is Robert Plant we're talking about. Is this really the best he can offer?". "Dance On My Own" is a poppy piece of eighties funk/pop that could almost be a Michael Jackson track in places. The "oh-oh" chorus refrain actually sounds like one used by Deacon Blue many years later. "Tall Cool One" samples several Led Zeppelin numbers (almost surreptitiously) beneath a throwaway, awful eighties beat and some dreadful vocals. It sounds like one of those "filler" Rolling Stones numbers from "Dirty Work" or "Steel Wheels". Look, it is lively enough, but something about it irritates me slightly. "The Way I Feel" has a bit of good guitar, but it basically sounds like The Eurythmics. "Helen Of Troy" has an upbeat rock/funk feel to it with a few vague echoes of "Trampled Under Foot" about it. "Billy's Revenge" has a bassy rockabilly groove to it, however, it sounds like some of the stuff Queen put out around this time. There is a lot of Freddie Mercury in this, in both its pseudo-rock'n'roll stylings and Plant's vocal delivery. For a lot of people, "Ship Of Fools" is the album's best track. It is the one that exudes that old Led Zeppelin mysticism. Despite that, and a convincing, evocative vocal it still suffers from a Phil Collins-esque backing at times. Once more, it has hints of Queen as well, particularly "These Are The Days Of Our Lives" in its slower passages. "Why" should probably have been left back in 1988. It has a Euro-poppy rhythm and an uninspiring vocal. "White, Clean And Neat", apart from a bit of searing guitar, is even worse. The muscular "Walking Towards Paradise" redeems things a bit. For me, this is the album's strongest offering. It is still at the mercy of its production, though. Give me Plant's gritty, post-2000 solo work any day, that's for sure.